The limited edition cruiser is a more luxurious version of the Roadster and could carry a price tag of Rs 40 lakh! Indian Motorcycles has teased the upcoming Indian Roadmaster Elite on their social media pages suggesting that the premium cruiser could be launched in our two-wheeler market soon. Until the teaser, there was no information on whether the cruise, which was unveiled in July last year, would make its way to India. So far, the Polaris-owned bike maker has built only 300 units of the uber-luxury model. When launched in India, expect it to be priced at a premium of Rs 40 lakh (ex-showroom), which could make it one of the most expensive motorcycles to go on sale in India. The Indian Roadmaster Elite can be best described as an even fancier version of the already luxurious Indian Roadmaster. The bike gets a custom dual-tone blue and black colour scheme, which according to the company is done by hand and takes upto 30 hours to be completed. If that's not impressive, the ‘Indian’ logo on the fuel tank comes wrapped in 23-carat gold leaf. The Roadmaster Elite also gets a plethora of interesting features such as a Ride Command system that lets you monitor advanced vehicle data like individual tyre pressure, fuel range, current altitude, distance till your next oil change, average fuel economy, Bluetooth status, music control and navigation. These features can be accessed via a large, 7-inch touchscreen display that can be used even while wearing riding gloves! Along with it, you also get a 300-watt premium audio system, dual-climate heated seats, heated grips, passenger armrests, a premium touring console, pinnacle mirrors, billet aluminium passenger and driver floorboards, etc. Powering the luxury cruiser is the same 1811cc 'Thunder-Stroke' V-twin engine capable of churning out 139Nm of torque. It is mated to a 6-speed gearbox and final belt drive.The Roadmaster Elite also gets lockable saddlebags and ABS as standard. 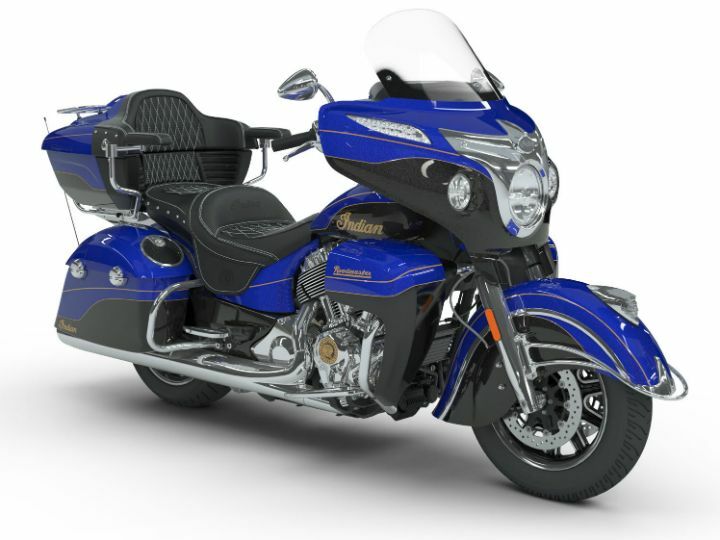 The Indian Roadster Elite is expected to come to India via the CBU route. Following its launch, Indian is also expected to bring the Indian Springfield Dark Horse and the updated 2018 range to our shores too. Share your experiences with Roadmaster?